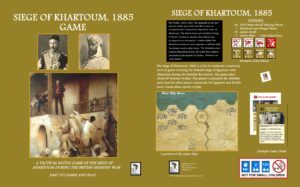 The Boardgaming Way A Snapshot of Steve Kling's Games and his "Historical Game Company"
We recently caught up with Steve Kling of The Historical Game Company. 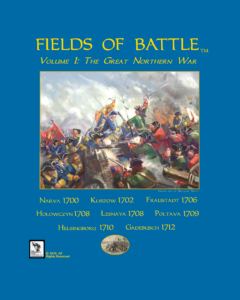 In 2016 we ran a couple of articles about his initial publications on the Great Northern War. 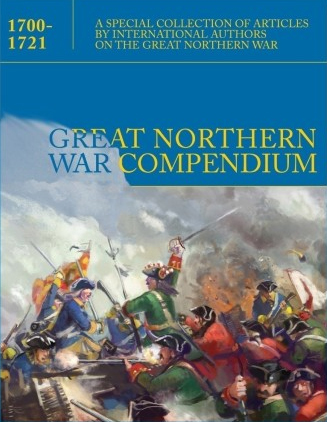 The Great Northern War Compendium is a two-volume book on the Great Northern War in full color, written by Kling and 42 international co-authors. This work is available on his company website and on Amazon. 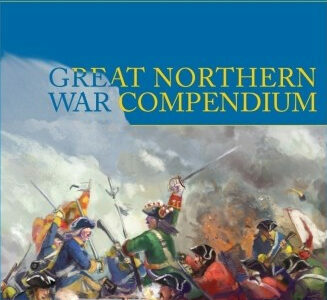 The Great Northern War Compendium was also recently reviewed by Professor Carges on History.net. 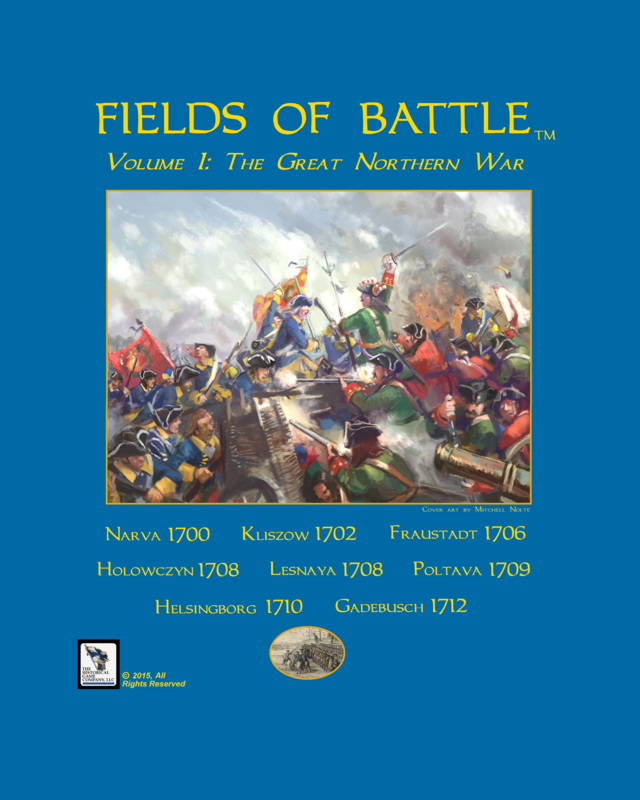 In connection with the book, The Historical Game Company published Fields of Battle: The Great Northern War covering 8 battles of that war. 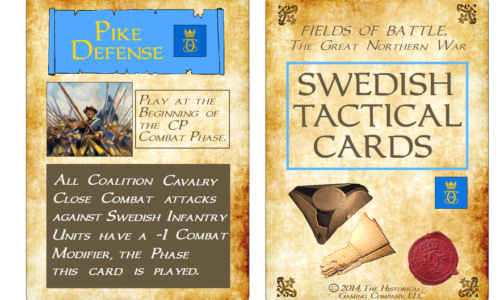 The game is available at the company’s website and from retailers. 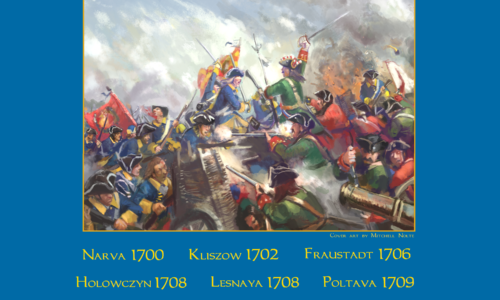 from one of the soldiers at the Battle of St. Louis.) 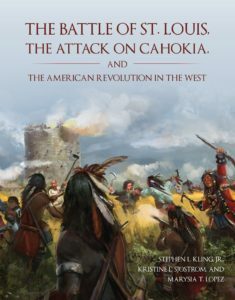 The book covers the British grand plan to conquer the Mississippi River valley during the war and the simultaneous British attacks on St. Louis and Cahokia on May 26, 1780. 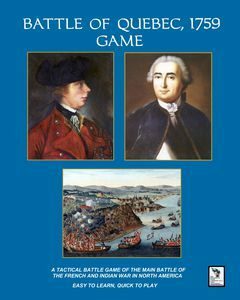 A British victory there could have greatly altered the war and the territory secured by the fledgling Americans at the peace table. The Battle of St Louis also covers all of the campaigns of George Rogers Clark and the Spanish in the west. 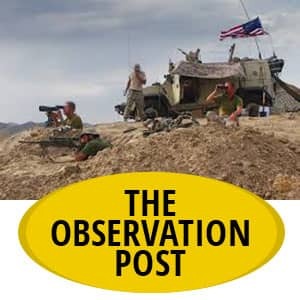 Steve has had a number of speaking engagements on the book and recently an article on it was carried by the Spanish national newspaper Dario ABC. Kling plans a game on the Battle of St. Louis but it will not be released until a museum exhibit on the topic opens in late 2019. 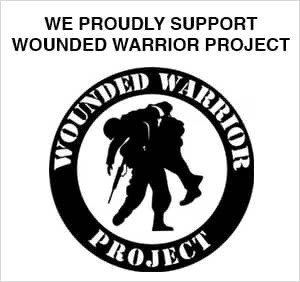 The book, itself, may be purchased at the company website. 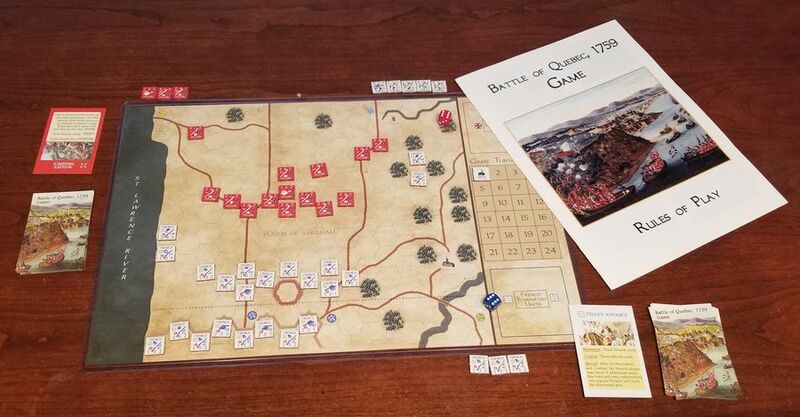 As a promotion for another planned museum exhibit, Kling published the Battle of Quebec, 1759 game last month, with the majority of the proceeds going to the museum costs. 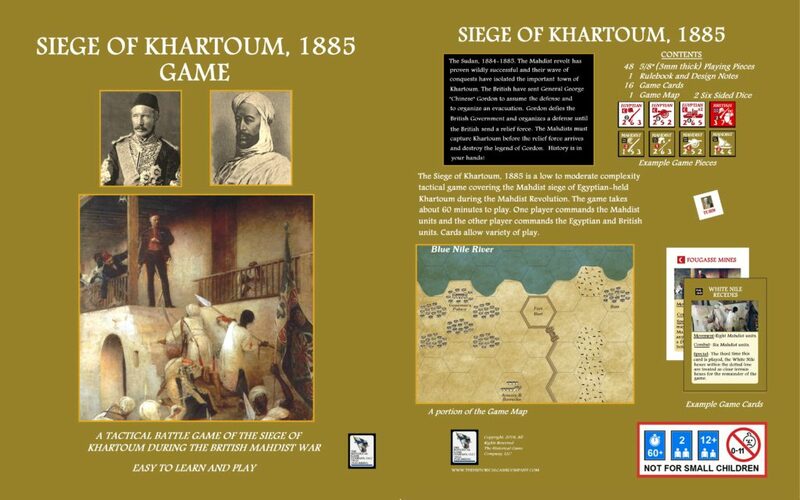 That game is also available on the “Historical Game Company” website. 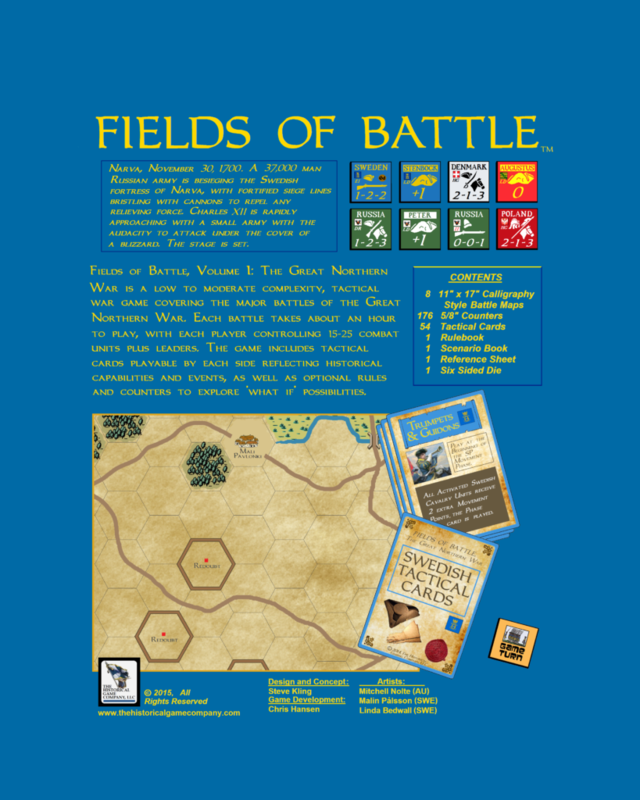 While the books take a lot of Kling’s time, he still has time for military history games. 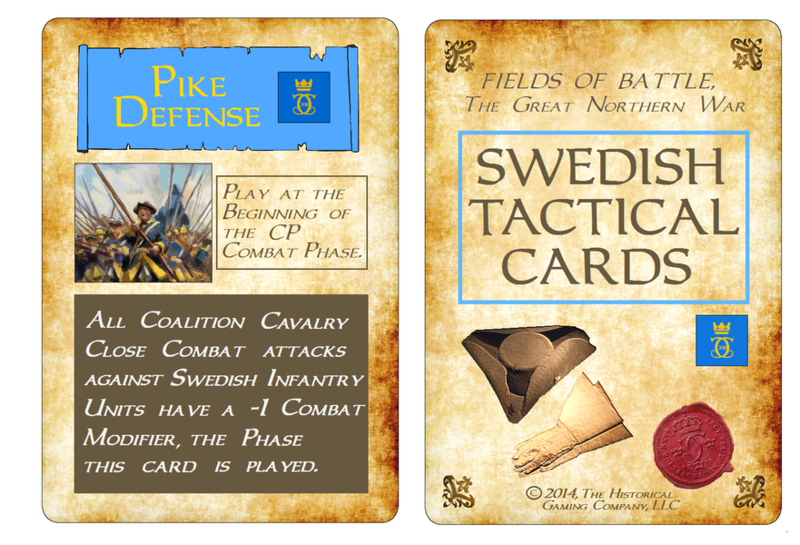 For example, he designed a promotional game for the Swedish History Museum in 2017 in connection with the Kriegspel exhibit on the Battle of Poltava. 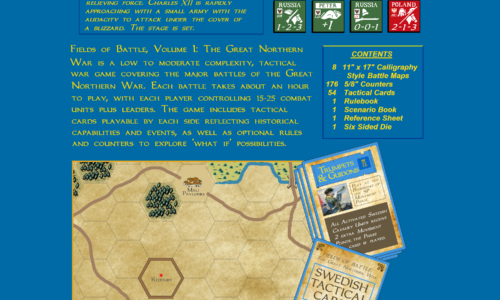 Using this game as a foundation, Kling developed a game format using 48 counters, 16 cards and an 11″ x 17″ game map to cover various historical battles of the 18th and 19th century. 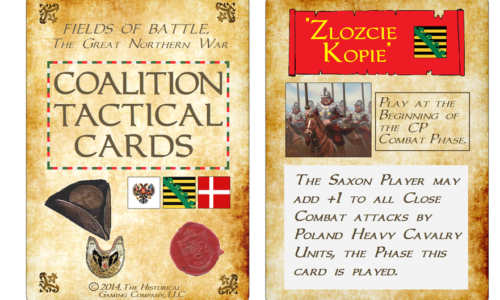 The cards are used to regulate the number of moves and attacks each turn as well as providing special rules, penalties or reinforcements in effect for a player’s turn. 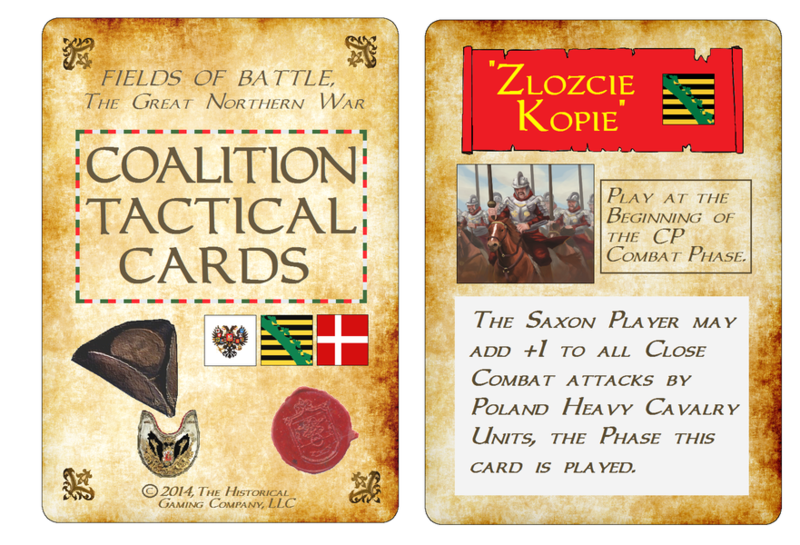 Each side has its own deck of 8 cards. 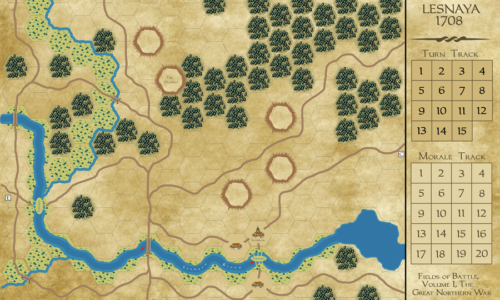 The concept is to have a quick moving game that can be played in about an hour. 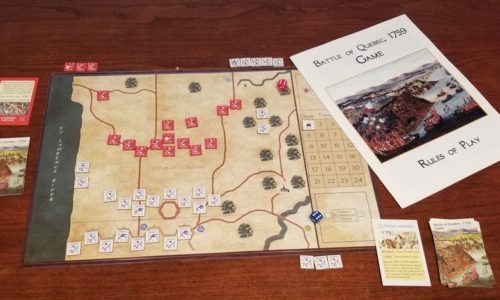 The first game using this format was The Battle of Quebec, 1759. 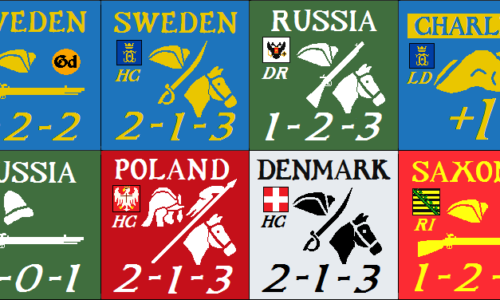 Kling now intends to go back and do a deluxe version of the Poltava promotional game in this expanded format sometime in the future as Poltava is one of his favorite historical topics. 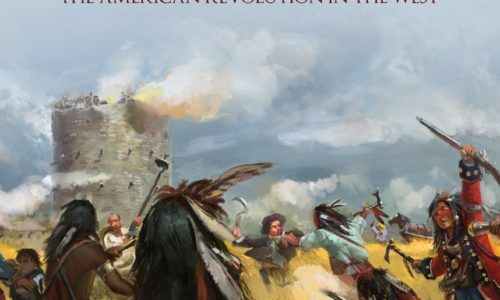 As you can probably tell Steve’s books and games focus on lesser-known topics and his games always include a further reading section as he believes they should be a tool to educate players on history and to stimulate further reading. Along those lines are his next titles. 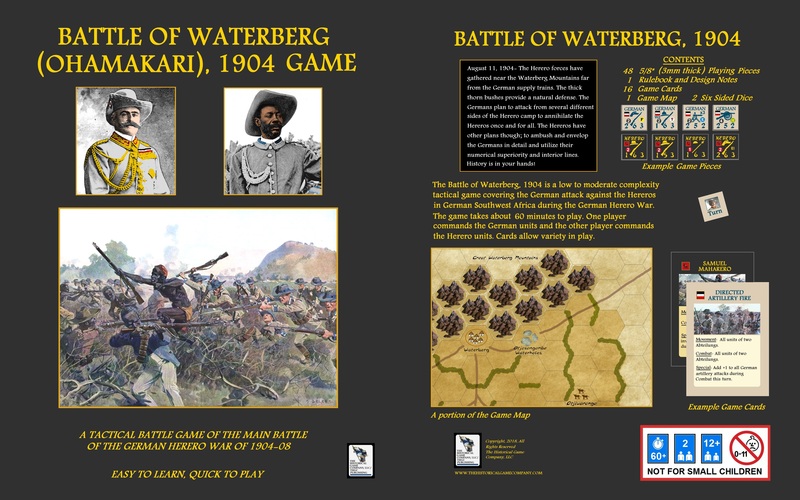 The first, which is now out for final playtesting, is the Battle of Waterberg, 1904. This battle was the final and major battle of the German-Herero Wars in what was then German Southwest Africa. 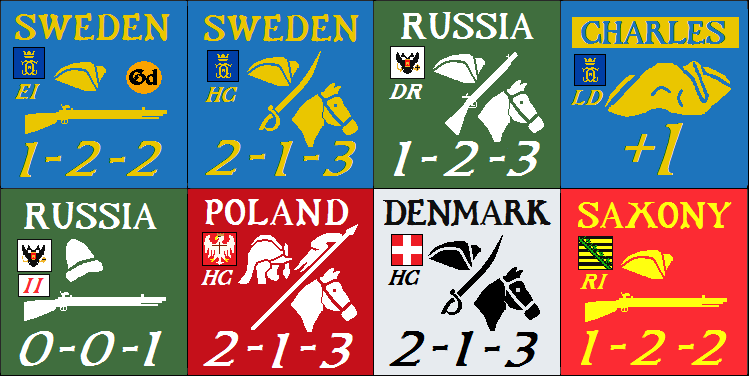 The Germans sent a huge force to suppress the rebellion. 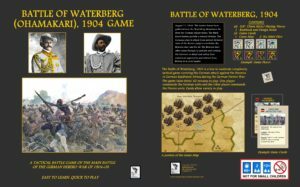 Near the Waterberg Mountains, the Germans converged several abteilungen (military groupings) from multiple sides to annihilate the Hereros. 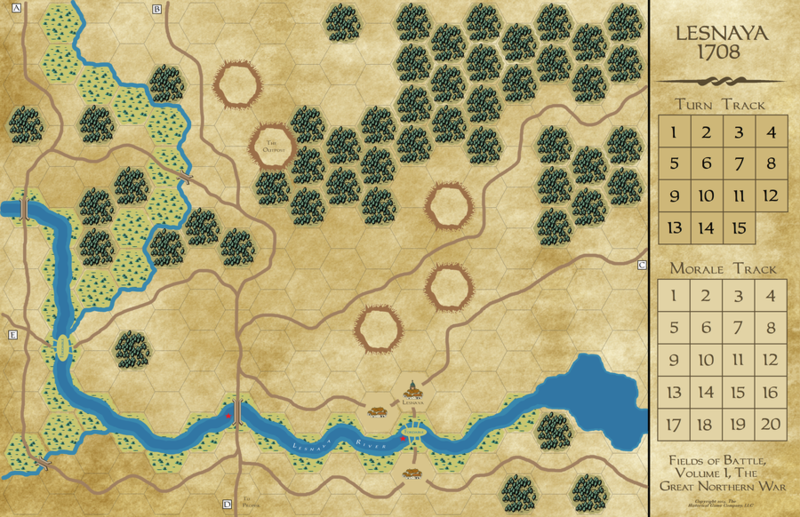 The Hereros, many of whom were crack shots and adept at the use of the rugged terrain, fought desperately against the Germans and came close to defeating them. In fact, their use of ambush tactics and smokeless powder almost destroyed several of the German abteilungen. The Germans, in turn, were able to locate a heliograph on top of one of the mountains to help direct artillery fire. Machine guns also completed the German’s equipment superiority though the defensive position of the Hereros limited their effectiveness. The game and its accompanying reading list should help tell the story of the battle and educate players on Herero history and the atrocities that took place after the war, which are currently the subject of intense international debate. 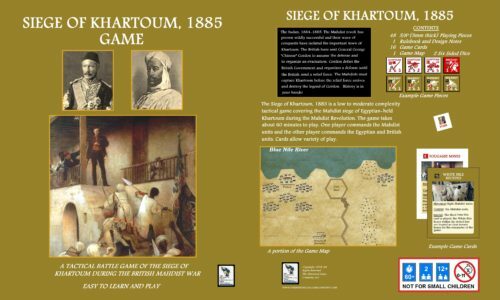 A second design, which will be sent out for playtesting shortly, is on the Siege of Khartoum, 1885. It will also use Steve’s new system.